Need to get rid of Squirrels? Squirrels like suburban yards and trees and as long as they stay out of our attics and homes we tend to leave them alone. Once they decide to use our homes as a nesting site they can cause damage. Squirrels are opportunistic animals. They will enter homes or structures through torn attic vent screens, broken windows, knotholes and construction gaps under eaves and gables. Sometimes the chimney and fireplace are their access points into our homes. Once established, they can destroy wooden shakes and shingles creating additional access points. They are especially destructive to vacant structures or vacation homes. Controlling squirrels can be a challenge. Long-term prevention includes trimming tree branches 8-10 feet from all building surfaces. 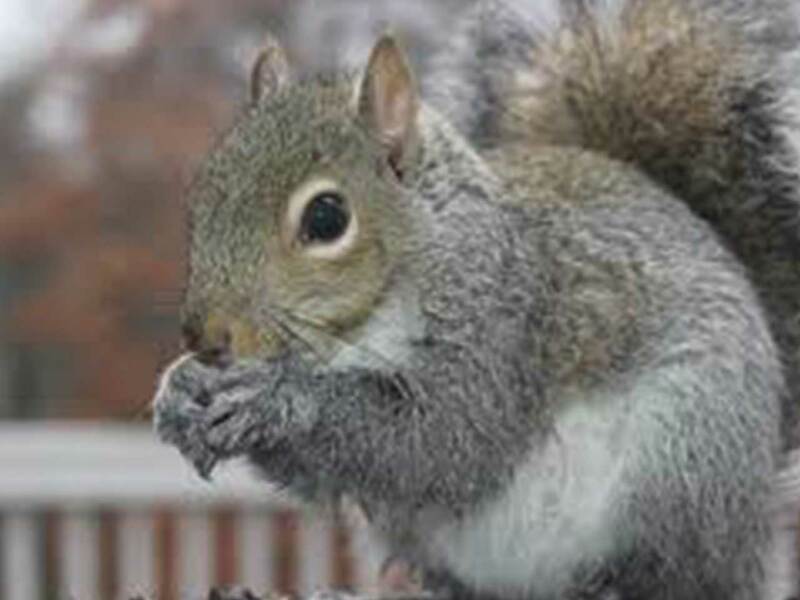 If you want to discourage squirrels you should refrain from feeding them close to your home. If you feed the birds, it is wise to install squirrel excluder devices on your bird feeder poles and brackets. Squirrels can be prevented from climbing trees by attaching wide metal bands around the trunk of the tree a least six feel from the ground. They should be about 18-20 inches wide with no gaps of rough surfaces to permit climbing. If you have a Squirrel problem and want additional information, please call our office for prevention and trapping options.